*Offer valid from April 1, 2019 through June 30, 2019. Must Use CLAAS Financial and $200,000 Max Financed at these rates. 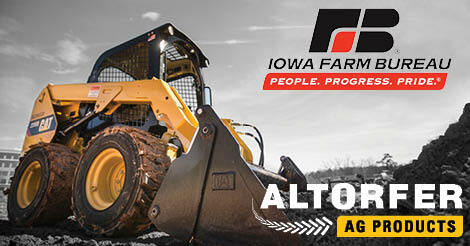 Contact your Altorfer Ag Products Sales Representative for more details. **Offer valid from April 1, 2019 through June 30, 2019. 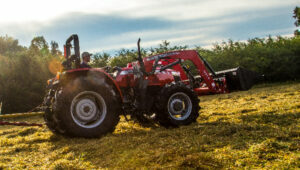 Used Tractors and application machines 2007 & newer qualify for these rates. Must Use AGCO Financial and $200,000 Max Financed at these rates. 2006 and older equipment will use standard rate. View the full offer details here! 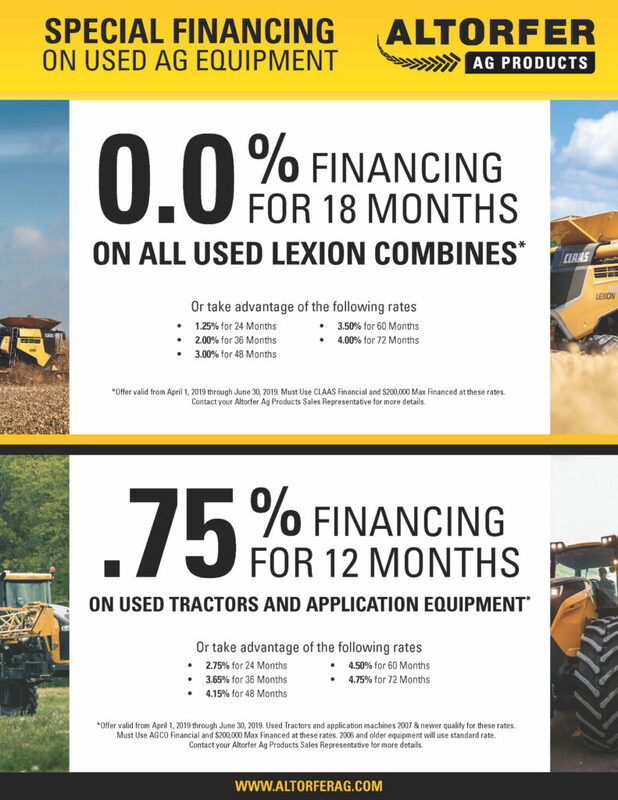 * Rates as low as 0% for 72 months in the U.S. Offer valid on select models and subject to credit review and approval through AGCO Finance LLC. Dealer participation may vary. Contact us for more details. Offer subject to change without notice.